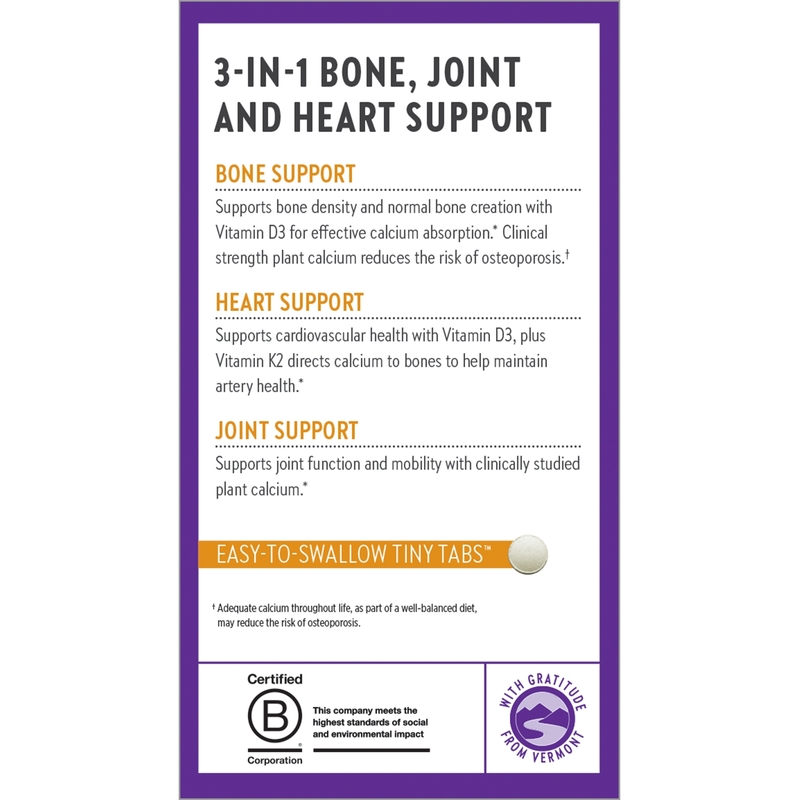 Whole-Food Calcium Supplement in an Easy-to-Swallow Tiny Tablet! 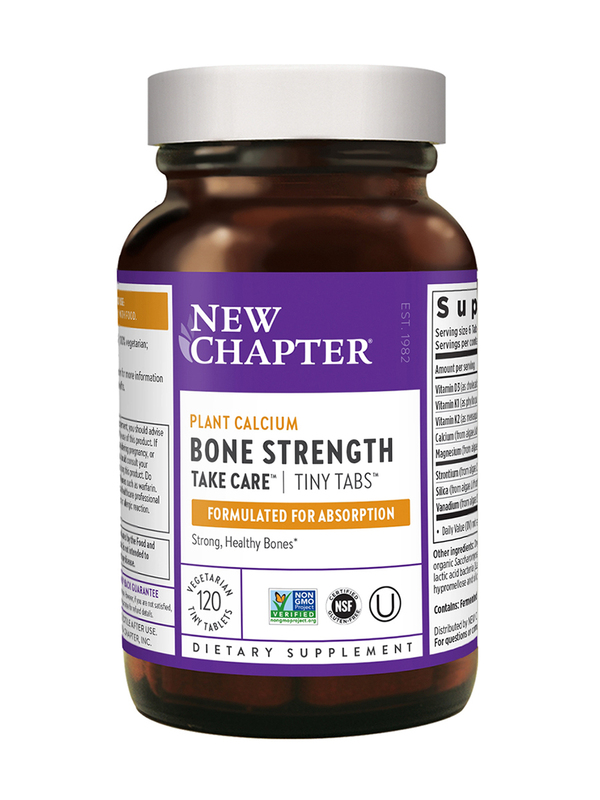 New Chapter® Take Care™ formula target specific areas of wellness and provide combinations of whole-food cultured vitamins‚ minerals‚ herbs and superfoods to support health and wellness. 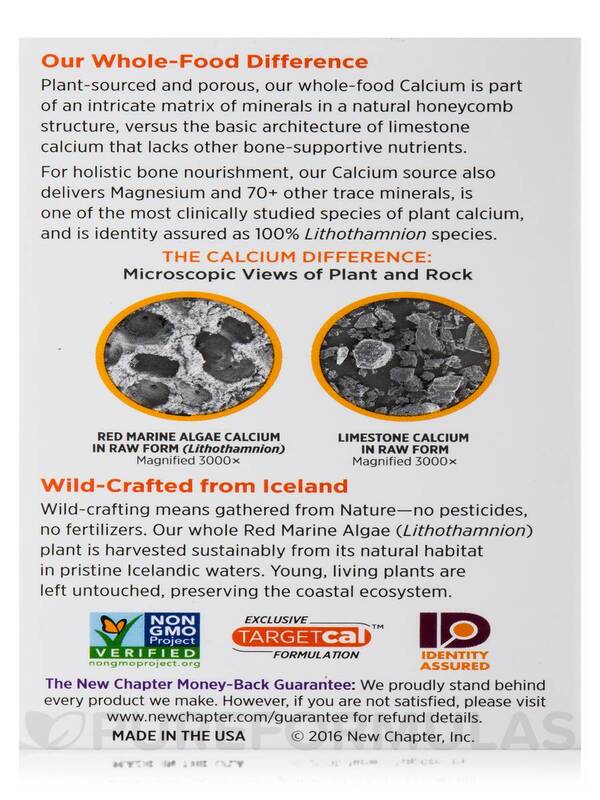 Typical calcium supplements are derived from rocks (limestone). 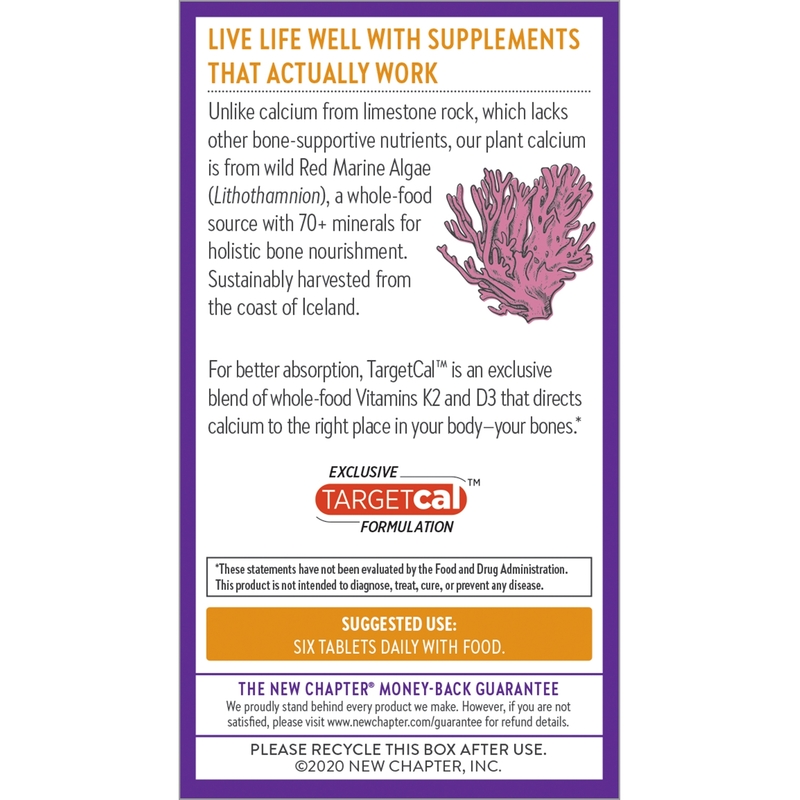 Simple‚ rock-based calcium has a flat‚ basic architecture and lacks many other bone-supportive nutrients. Bone Strength Take Care™ is different. Plant-sourced and porous‚ Calcium is part of an intricate matrix of minerals that are organized in a natural honeycomb structure. 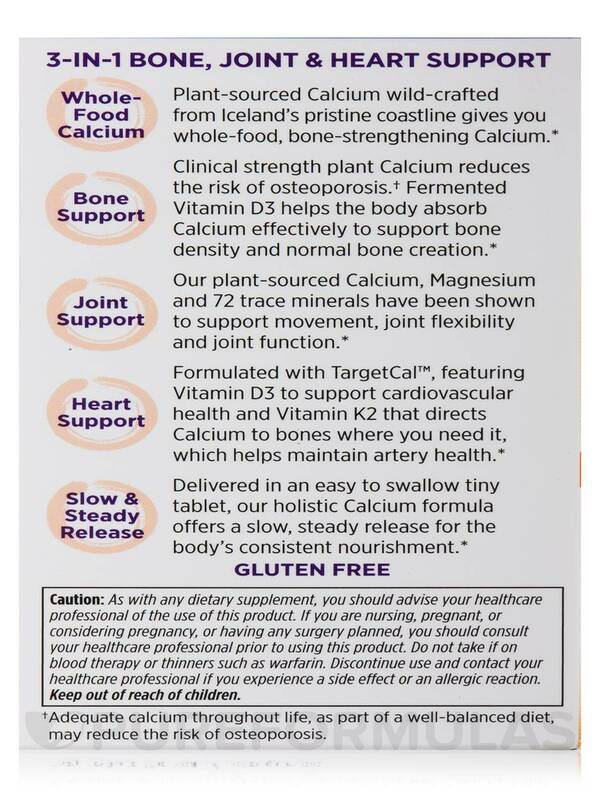 For holistic bone nourishment‚ it delivers whole-food Calcium‚ Magnesium and multiple other trace minerals. Other Ingredients: Culture media (organic milled soy‚ organic saccharomyces cerevisiae [active and inactive]‚ organic maltodextrin‚ organic gum acacia‚ organic alfalfa powder‚ lactic acid bacteria [L. acidophilus‚ B. bifidum and L. rhamnosus]‚ papain [deactivated]‚ bromelain [deactivated])‚ organic barley grass‚ organic gum acacia‚ maltodextrin‚ hypromellose‚ silicon dioxide and sunflower oil. 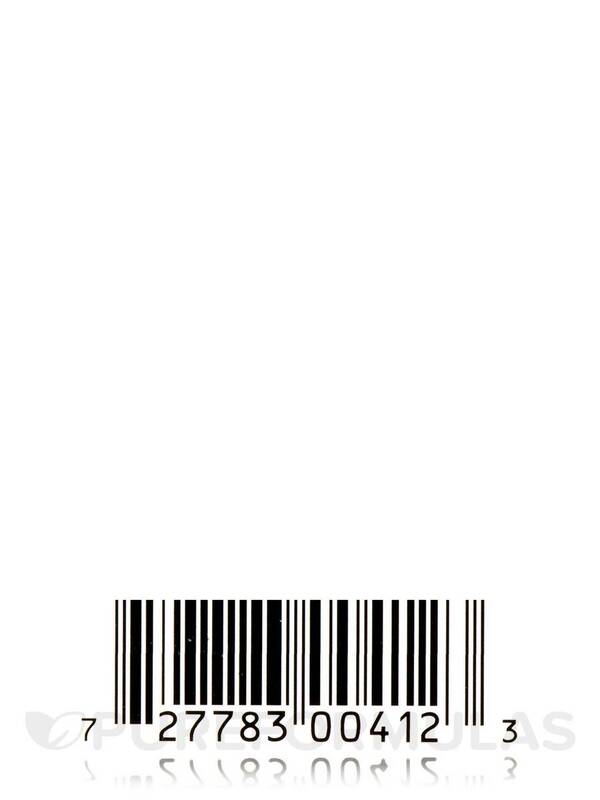 Gluten-Free / 100% Vegetarian / No Artificial Flavors or Colors / Non-GMO Project Verified / Kosher / Made in the USA. Six tablets daily with food. 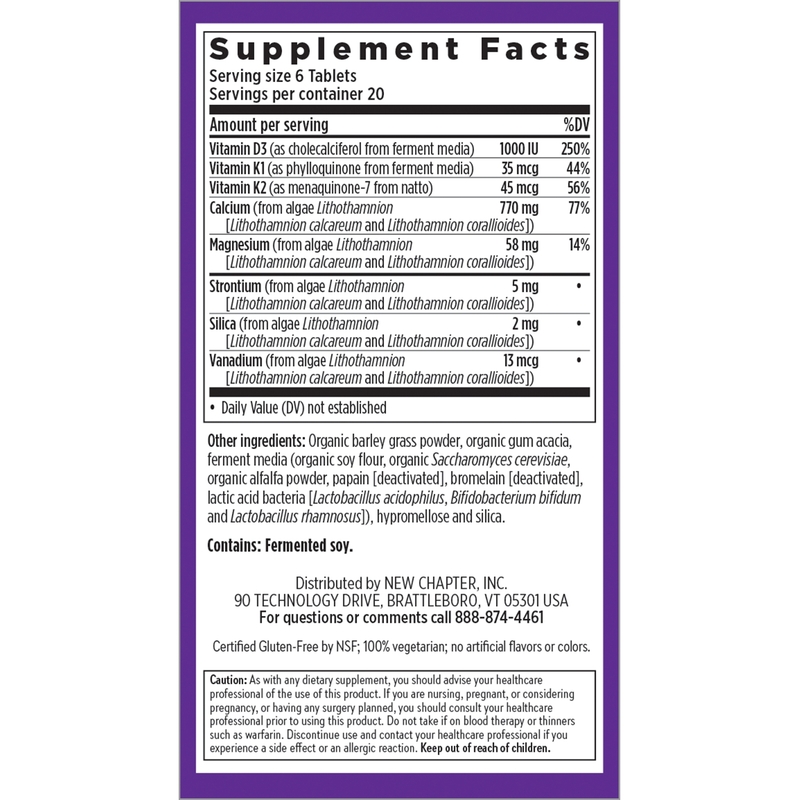 As with any dietary supplement‚ you should advise your healthcare professional of the use of this product. If you are nursing‚ pregnant‚ or considering pregnancy‚ or having any surgery planned‚ you should consult your healthcare professional prior to using this product. Do not take if on blood therapy or thinners such as warfarin. Discontinue use and contact your healthcare professional if you experience a side effect or an allergic reaction. 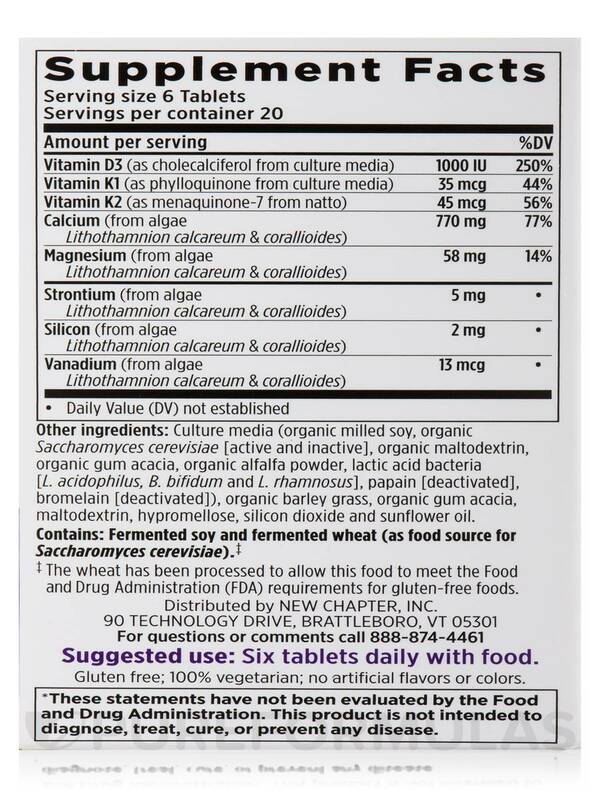 Allergen Caution: Contains: Fermented Soy and Fermented Wheat (As food source for Saccharomyces cerevisiae). 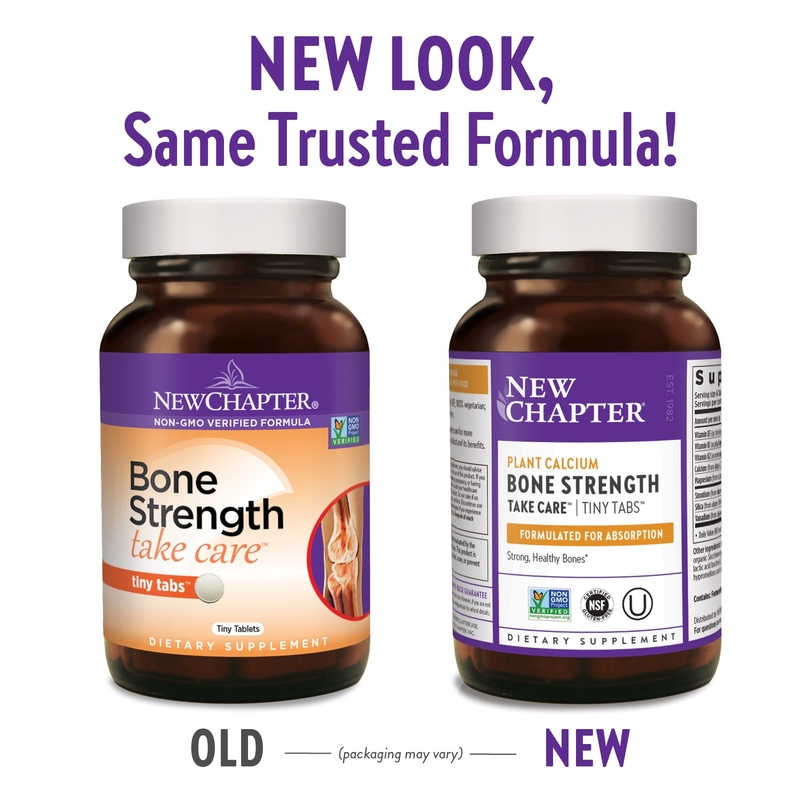 I was recommended Bone Strength Take Care by NewChapter by a family member for my osteoporosis. In the past year or so since I've been taking it, my doctor has been pleased with the results. I also appreciate the small tablet size. Besides calcium, it also includes other vitamins and minerals, which is helpful. 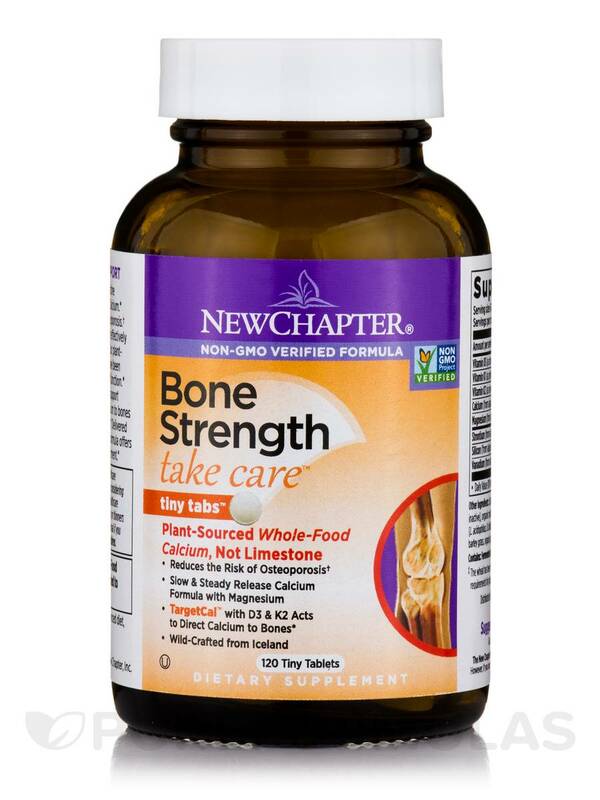 Bone Strength Take Care Tiny Tabs is great for people like me with osteoporosis. I no longer have it it is cured now. I was told at the health store that Bone Strength Take Care®Tiny Tabs along with zyflamend heart would help my knee. I have been taking them both for one month and do not have any more pain in my knee and can now go up and down stairs without my knee hurting.